As a parent, you appreciate the importance of protecting your family’s skin from the inherent dangers of the summer sun. While your initial concern may be to prevent the potentially blistering pain of a serious sunburn, you are aware that the generous and consistent application of sunscreen will significantly reduce your family’s risk of skin cancer later in life. Even though you know the many health benefits of sunscreen use, you may have concerns. Knowingly covering your family’s skin in potentially volatile chemicals, questionable preservatives, and potential allergens may have you seriously considering the feasibility of avoiding the outdoors altogether. The good news is you have options. You can shield your family from the harmful effects of UV rays without compromising your protective instincts. A recent publication from The Environmental Working Group states that nearly 67 percent of the sunscreen products available are ineffective, noting problems of inadequate UV protection and the inclusion of potentially harmful ingredients. While significant efforts have been made in the right direction during this past decade, many potentially damaging chemicals are still dumped into US products. But you do have options. You can encourage outdoor recreation and keep your family UV-protected without the worry. You just need to know what types of products you should be looking for, and the types of products or product ingredients you may want to avoid. A mineral sunscreen is a sunscreen formula containing only zinc oxide or titanium dioxide (or a combination of the two) as it’s active ingredients. Titanium dioxide and zinc oxide are both natural products that are refined for topical application. They will typically not cause a skin reaction and are not shown to cause any type of hormone disruption. Zinc oxide and titanium dioxide protect skin by reflecting and deflecting UV rays away from the surface of your skin. One of the major drawbacks of these products is the white residue the mineral particles leave behind. To minimize the white cast, many companies rely on micronization to reduce the size of the particles to nanoparticles. Sunscreen products with micronized titanium dioxide and zinc oxide have a lighter consistency and typically do not leave a visible white residue on your skin. There is a bit of a tradeoff when using a micronized mineral sunscreen. Micronization can reduce the level of skin protection, which can be compensated for with consistent reapplication. Now that you know some of the potential benefits and risks between selecting natural or chemical active sunscreen ingredients, you have about half of the story. The inactive ingredients in sunscreen can also be a cause for concern. Unfortunately, chemicals used in skin care products can traumatize skin, absorb into the body, and even make their way into our water supply. It’s important to read product labels. You may want to avoid sunscreens containing some of these common inactive ingredients. Parabens – parabens are synthetic compounds typically used as a preservative. Parabens are shown to absorb through the skin and can potentially mimic hormones and disrupt the functioning of the endocrine. Retinyl Palmate– a form of vitamin A that may harm skin by reacting with UV rays, potentially leading to skin tumors. Fragrances – made up of potentially hundreds of different chemicals, manufacturers are not required to list the ingredients used to create a fragrance. Many common chemicals used to create fragrances are linked to multiple health concerns. Sodium Lauryl Sulfate – commonly used in shampoo, soaps, and toothpaste, sodium lauryl sulfate is classified as a moderate health risk due to its associated link to several forms of cancer. The active and inactive product ingredients have the potential to influence the general health and well-being of your family. There are several other contributing factors that you may want to consider before making a product selection. 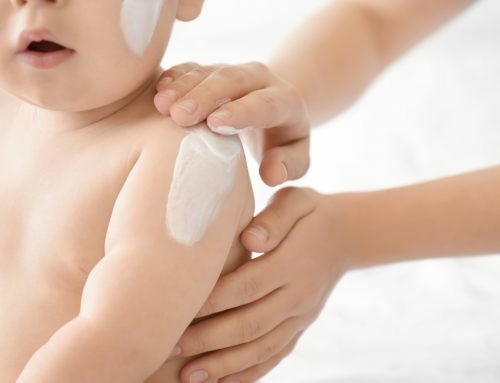 The following information about several key features may be beneficial in determining the ideal sunscreen for your family. A broad-spectrum sunscreen will protect your family from UVA and UVB rays. UVA radiation is consistently present during daylight hours, even on cloudy or rainy days. The damage from UVA radiation is cumulative. UVB rays vary in intensity by season or location, and are responsible for sunburn and skin reddening. A water-resistant sunscreen will resist water exposure and sweat. To be considered water-resistant, a product must be able to withstand 40-80 minutes of exposure. If a product does not specify that it is water resistant, chances are it is not. Water resistant products will still need to be reapplied every two hours. The sun protection factor (SPF) indicates the multiplication of the length of time your skin is protected in the sun. This is misleading. Products still need to be reapplied every 2 hours to remain effective. A higher SPF also blocks a higher percentage of UV rays. Blue Lizard Australian Sunscreen Baby – Trusted for more than 20 years, this broad-spectrum product offers the highest overall user rating at the lowest cost per ounce. Blue Lizard Australian Sunscreen is easy to apply and does not contain parabens or skin irritating fragrances. ThinkSport Kid’s Safe Sunscreen – Free of Oxybenzone and other UV clinical absorbers, Thinksport Kids is manufactured in the US, and provides 50+ SPF. Many users adore the fresh fragrance, reminiscent of an orange creamsicle. Neutrogena Pure and Free Baby Sunscreen – providing SPF 30, this tear-free formula is water resistant and offers broad-spectrum UV protection. 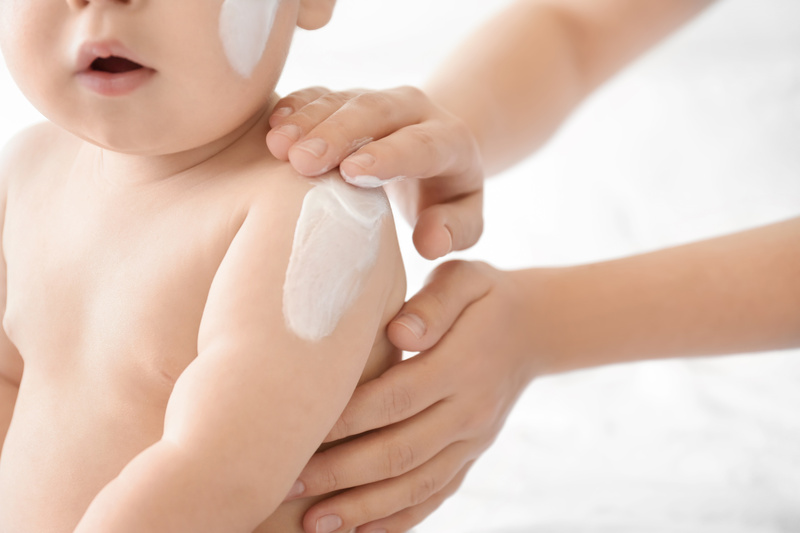 Neutrogena Pure and Free Baby Sunscreen is accepted by the National Eczema Association. 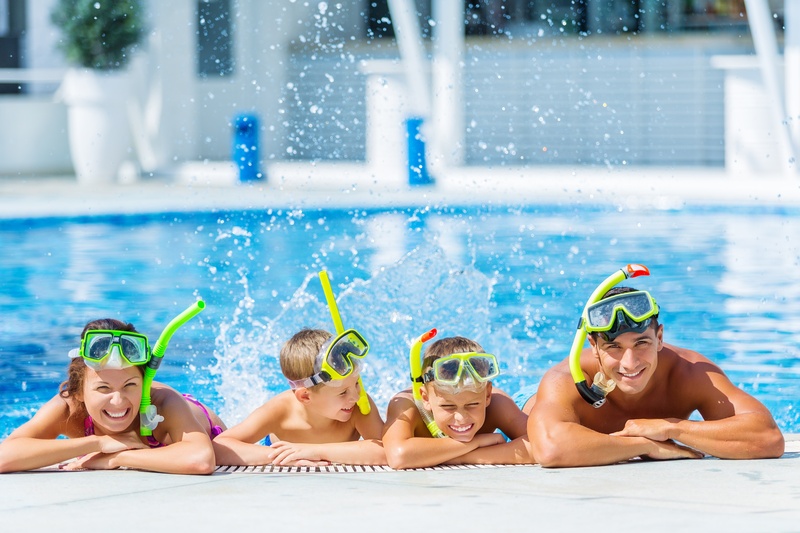 Protecting your family from sun exposure is a summer-fun priority. You can enjoy your summer activities without worrying about the potential health risks associated with sunscreens by selecting a skin-friendly, mineral sunscreen product. To learn more about mineral sunscreens, and the products we recommend, visit us at Sunscreen Scout. We provide honest reviews, list product ingredients, and evaluate prices, so you can make informed purchasing decisions.